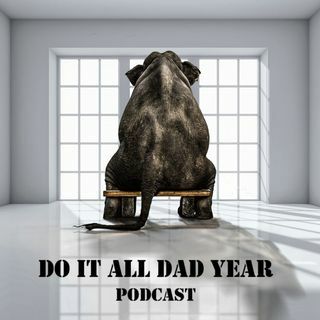 The "Do It All Dad Year Podcast" is dad friendly entertainment for you and me. Consider it a mobile barbershop. Where dads can let their hair down for a change. To bask in "Do-It-All- Dad" tales of men who transformed themselves from slugs to studs. Who became remote employed dads within the fields of sales, PR, marketing, IT, UX design, screenwriting and craft brewing throughout the US and beyond. Who are committed to being more involved, hands on dads than the ones before ... Más informaciones them. Because working remote is the best choice our dads never had. Your host Michael Kornbluth, a Stay-At-Home Comedian/Father of 3 with some TV writing credits for VH1 and VH1 Classic, will be celebrating this emergence of "Do It All Dad" pride on the "Do It All Dad Year Podcast." By shining a light on modern, remote employed dads who relish the role of teacher, coach and educator at home. In their quest to be less self-centered and more like the Dad from This is Us minus the drinking problem.